We’re here on the USS Hornet attending NVIDIA’s GeForce LAN 6 event, where NVIDIA has just finished a kick-off keynote and product announcement between rounds of gaming. While NVIDIA has held LAN parties in the past, they don’t traditionally use them to announce new products. But the reality of the GPU product cycle is that with Kepler due in 2012 NVIDIA won’t be launching any major new consumer GPUs this fall, so instead the fall is being dedicated to their ecosystem products and GeForce LAN 6 is being used as the launch event for those products. So while today’s announcement isn’t a new GPU, it is still quite relevant to gaming. As you may recall, it’s been nearly 3 years since NVIDIA first announced 3D Vision, their initiative to revitalize the shutter glasses 3D gaming market by adding support to their drivers for running a number of games in 3D, while at the same time taking care of the hardware on their own by producing the glasses and IR transmitter. Since then they have given the glasses a slight upgrade by extending the battery life, having a few monitor/laptop vendors integrate the IR transmitter into their wares, and introduced a separate set of wired glasses, but otherwise the platform has remained the same. As for the competition NVIDIA is facing some pressure from AMD, whose HD3D initiative had been slow to start off but has finally gained some momentum with the release of monitors such as the Samsung SA750. At the same time NVIDIAs own sales have reached 500,000 glasses, meaning the product line has been deemed successful enough to continue its development. As a result 3D Vision is due for a refresh. 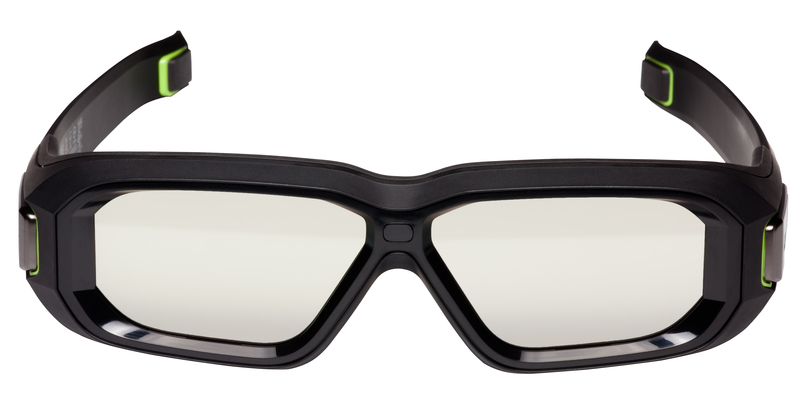 The result of that product refresh is pair of technologies: 3D Vision 2 glasses, and 3D LightBoost. The 3D Vision 2 glasses are the long awaited replacement for NVIDIA’s earlier 3D Vision wireless glasses, and feature a new fit and larger lenses. From NVIDIA’s perspective they wanted to have glasses with larger lenses for use with today’s 27” 120Hz monitors (3D Vision 1 launched with 22” monitors), whereas from our perspective we’ve never been a big fan of the wrap-around fit of the original glasses. The result is that NVIDIA went with lenses that are 20% larger than with the older glasses, which in turn required making the glasses larger overall. This ends up killing 2 birds with one stone, as not only does NVIDIA get their larger lenses, but the larger frame allows them to promote the glasses as allowing less light to leak in from the side. At the same time the larger frame means that they’ve gone back and reworked the materials and the fit of the frame; the frame is now made out of a softer plastic, which should be more malleable to heads and headphones alike. With that said we haven’t had a chance to try out a set of 3D Vision 2 glasses yet, so we’ll be including our impressions shortly once NVIDIA brings them out for exhibition. The second 3D Vision announcement of the evening is the announcement of 3D LightBoost, a new NVIDIA technology that is designed to partially mitigate the biggest pitfall of active shutter glasses: the poor visibility that results from the shutters blocking so much light. All 3D systems suffer to this to some extent – at the end of the day you’re blocking an image from reaching any given eye – but as anyone who has used both polarized and shutter systems can tell you, shutter systems have it worse. Thus the idea behind 3D LightBoost is that NVIDIA has a new way to operate their glasses that blocks less light, both from the monitor and from the immediate environment. Unfortunately NVIDIA is holding their cards close to their chest here when it comes to discussing how the technology operates. What we have managed to get confirmed is that 3D LightBoost is a monitor technology (not a glasses technology), and that NVIDIA is playing with the monitor backlight to achieve this. Specifically they’re shutting off the backlight entirely between frames, and then activating the backlight at over 100% brightness when they want to show a frame. In effect the backlight itself is acting as a shutter. The significance of this change is that by modulating the backlight the shutters on the glasses themselves no longer need to be closed for as long a period of time. Currently NVIDIA needs to close the shutters relatively early to prevent stereo crosstalk – left and right images being seen in the wrong eyes – from being noticed and breaking the 3D illusion. The need to close the shutters so early is a particular quirk of LCD monitors, as the shutters need to be closed while the LCD crystals are moving to their new alignment and only opened once the crystals are near or at their new alignment, since crosstalk will occur long before the image settles. Or to put another way, by modulating the backlight LCD motion blur can be hidden, which is a second way to reduce stereo crosstalk. The result of this is that the shutters on the glasses can be kept open longer, which improves the amount of environmental light that gets through the glasses. For the monitor itself, the increase in image brightness is achieved by overdriving the monitor’s backlight, producing an image brighter than the current crop of 3D monitors at full brightness. The amount of overdrive is going to depend on the attributes of the monitor being used, and more immediately NVIDIA still hasn’t fully explained the technical reason for why they can overdrive a backlight but only for short periods of time. In any case the combination of the two effects results in both the image on the monitor and the immediate environment being perceived as being brighter. Presumably this method could also be used to reduce overall stereo crosstalk (which still exists to some extent), but NVIDIA is not promoting it as such. As you can imagine, 3D LightBoost will require new monitors capable of handling the backlight modulation. 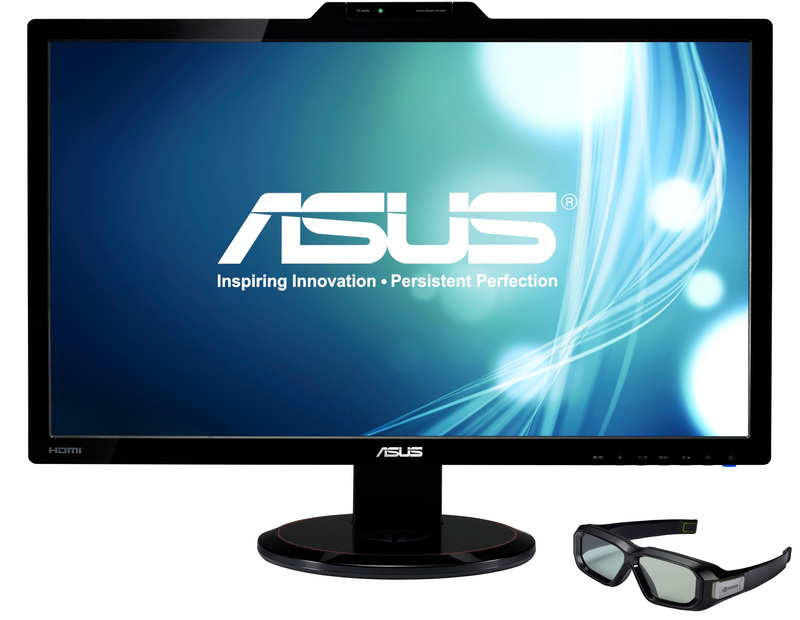 NVIDIA’s launch monitor will be the ASUS VG278H, a 27” LED backlit TN monitor with a resolution of 1920x1080. The VG278H will launch this month at $699, and will also include an integrated 3D Vision IR transmitter and a set of 3D Vision 2 glasses (although strictly speaking the integrated IR transmitter isn’t required for 3D LightBoost or 3D Vision 2). The Acer HN274HB and BenQ XL2420T are also 3D LightBoost qualified, and in the laptop market NVIDIA will be launching 3D LightBoost with Toshiba’s Qosmio X770/X775 and Satellite P770/775 laptops, which feature a 17.3” screen and come with a pair of 3D Vision 1 glasses. Wrapping things up, NVIDIA is telling us that 3D Vision 2 glasses will be available this month at the same price as their existing 3D Vision 1 kits. This means the 3D Vision 2 glasses alone will retail for $99, while the glasses plus an IR hub will retail for $149. All of these new products – the glasses and 3D LightBoost monitors alike – are backwards compatible with existing 3D Vision 1 gear, so 3D Vision 2 glasses will work with existing monitors, and we expect 3D Vision 1 glasses to work with the forthcoming 3D LightBoost monitors. Meanwhile as this is a gaming event, 3D Vision Pro – NVIDIA’s RF 3D Vision system – hasn’t been mentioned, but given the similarities between the two products we’d expect it’s just a matter of time. So 3D Vision Pro owners have something to look forward to for 2012. We’ll have more on 3D Vision 2 and 3D LightBoost later tonight once we’ve had a chance to play with the exhibition units, so stay tuned. Update: We've just returned from the exhibit hall where NVIDIA is showing off the 3DVision 2 glasses and the Asus monitor (in fact the entire LAN tournament area is equipped with them). While we can't take any objective measurements in these conditions, subjectively the 3D LightBoost effect does appear to be doing its job. The environmental lighting getting through the glasses is immediately noticeably brighter; there's still some light being blocked of course, but I'd say it's comparable to passively polarized glasses now. As for the monitor brightness that's also subjectively better, but it's not immediately apparent without a regular monitor to compare it against. At first glance I'd again call it comparable to polarized monitors, but it's something that needs a controlled test. Interestingly you'd never know that the Asus monitors were using 3D LightBoost just by looking at them. There's no flicker with the monitors, with or without the glasses. Again a controlled test will reveal more, but at first glance we're rather surprised by just how imperceptible the modulation of the monitor's backlight is. Try look at it out of the side/corner of your eye. Try videoing the picture with a 60fps camera to see what happens :). The modulation of the backlight should be not much different from any flourescent lighting that flickers at 120Hz. They probably get the LED backlight to flicker at a constant 120Hz and make sure everything is synchronized with it. I would not say the shade differs much if at all - the difference in pictures is because the stock 3D Vision 1 picture we have has the darkened lenses. But I would have to compare the two models side by side to be sure. So, ummm... has nVidia(or anyone at all) announced plans for some 3D glasses that fit over corrective glasses yet? Roughly half the US population wears glasses. And we're almost completely shut out by 3D. In fact, to date the only 3D displays I've seen that have ANY consideration for corrective glasses are the 3DS and it's big brother, the much-reviled Virtual Boy.